Last night, less than four months after I started my modest little beer site... it remains a modest little beer site. BUT it also got its 1,000th visit. My 1,000th visitor visited from (well, through, at least) Charlottetown. They rolled in on an iPhone at 11:25 (and 13 seconds) PM, and stayed for one minute and 21 seconds, viewing three pages. They came in by, and left from, the winter beer post. 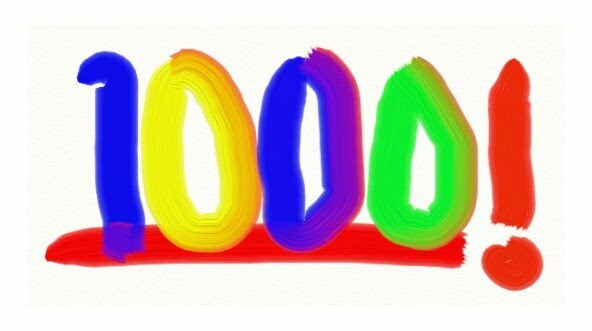 I have it narrowed down to three people, and have a strong hunch as to who #1,000 was (this can be done on PEI). Thanks, #1,000. Hope to see you again in another 1,000! PS - the image was made with a neat little art program called ArtRage. It's cool, especially on a touch-enabled device (finger painting! ).